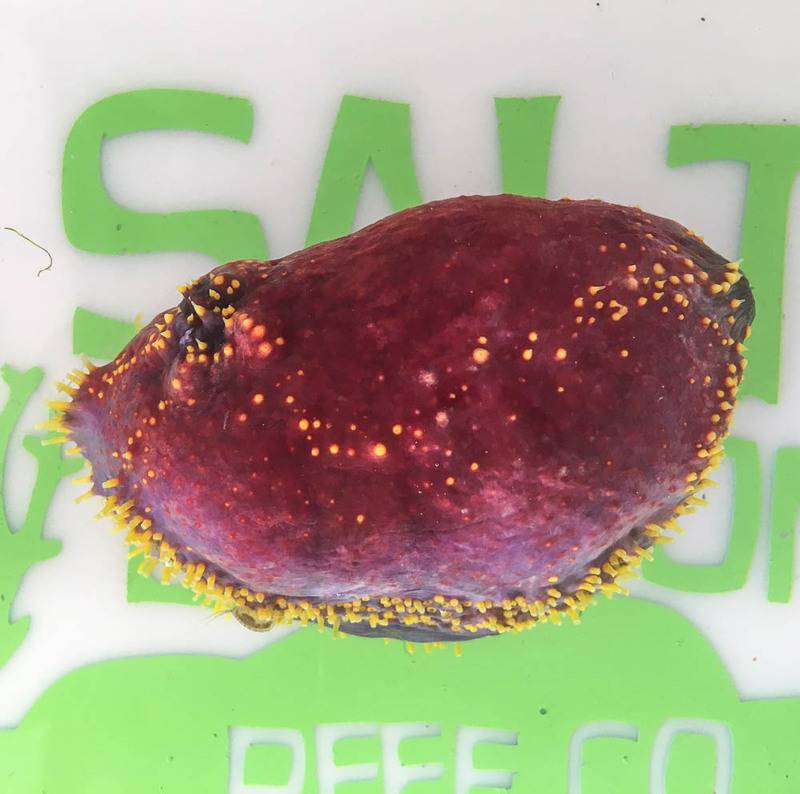 Notes: Sea Apples prefer an established reef aquarium with room to move about, and large amounts of live rock from which it receives a majority of its food. Once it finds a favorable location, usually in a high current area, the Sea Apple will generally stay there. Protect all intakes on pumps and powerheads, to eliminate any possibility of being sucked in.